Waxmelting Tools designed to melt wax for batik and encaustic art. 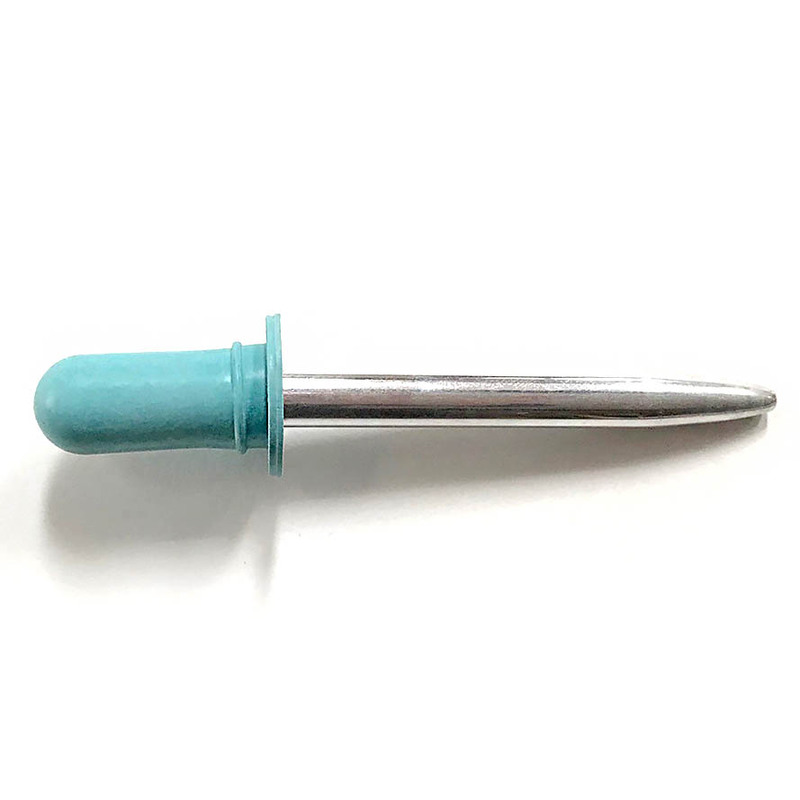 Waxmelting Tools designed to melt and apply wax for encaustic and batik art. UL Approved. Made in USA. Our Waxmelting Tools are designed for artists, teachers and students who use melted wax for batik and encaustic art. Our tools offer a safe and reliable way to heat paraffin, crayon, beeswax and soy wax. Once heated, our tools maintain an even temperature that keeps wax melted but will not burn it. No temperature regulator is needed! 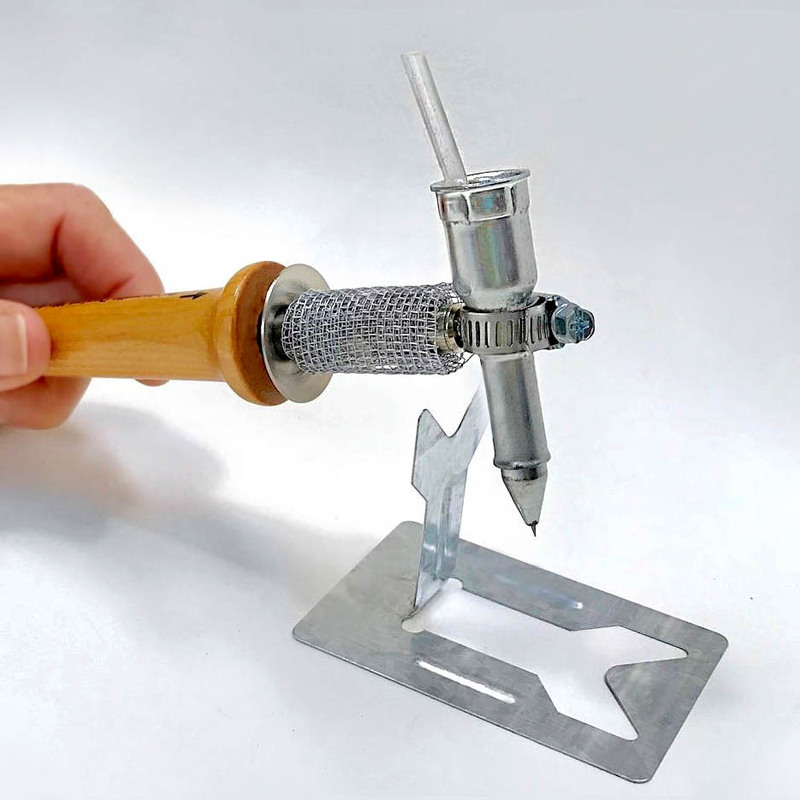 Our encaustic tools can be used to apply wax to paper, canvas, cloth, or wood. Designed by art teachers, our waxmelting products are used by professional encaustic artists as well as by teachers in the classroom. They offer ways to work traditionally as well as expand upon traditional forms of creating batik and encaustic art. Our Waxmelter Palette and Batik Pen are both electrically heated tools. Our Little Dipper and Squeeze Pen are designed to apply melted wax and are companion tools to the Waxmelter Palette. They allow you to apply wax in long, continuous, thick or thin flowing lines. Made in the USA. UL approved. 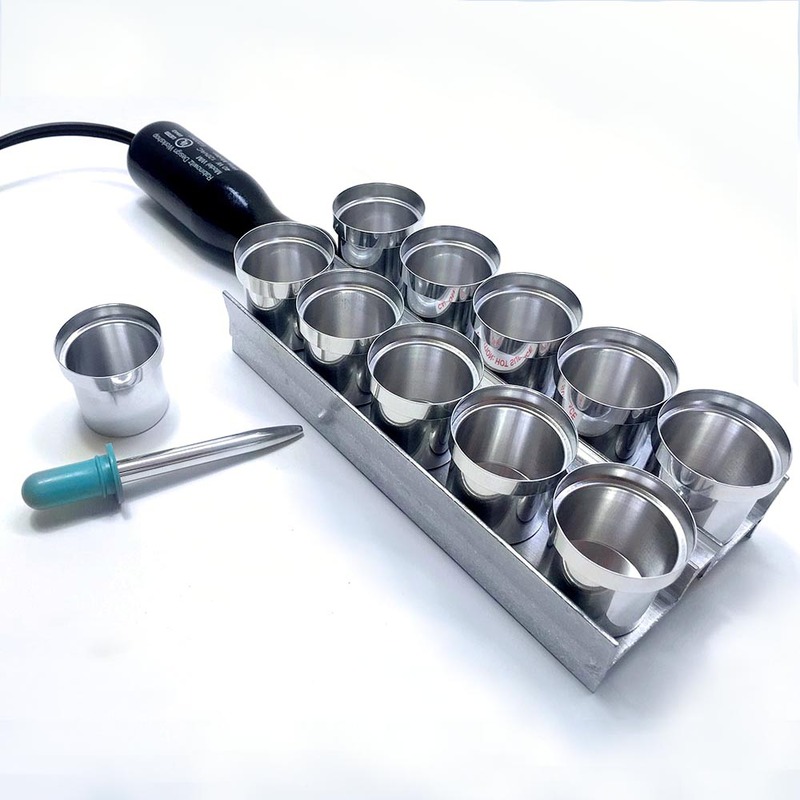 Electrically heated aluminum palette with ten cups. Maintains even heat for melting crayons, paraffin, beeswax, soy wax. No temperature regulator is needed! Used for wax resist painting, batik, encaustic, pysanki egg painting, candle decoration. Excellent tool for recycling small pieces of leftover crayons. Packed in storage box with instructions. Warning: This electrically heated tool is not intended for children under the age of 15. Adult supervision is required at all times. Click for more info Waxmelter Palette. See how to Buy. This Batik Pen is an electrically heated tools that melts candles, crayons, batik wax, and paraffin to produce a continuous line of melted wax. Heats hot enough to melt wax but will not burn. No additional heat regulator is necessary! Used for wax resist painting, batik, encaustic, pysanki egg painting and candle decoration. Great for recycling used crayons and candle wax. Packed in cardboard storage box with instructions. Comes with two valves that keep wax from dripping. Click for more info Batik Pen. See how to Buy. The Little Dipper is great for drawing continuous fine lines. It works best on smooth surfaces like paper, cloth, cardboard, or stretched canvas. Excellent companion tool with the Waxmelter Palette. Heat and scoop up melted wax in the Little Dipper from Waxmelter Palette cups. A little bit of wax goes a long way! Can also be used for Pysanky – Ukranian Easter Egg dyeing. Can also be used with water based paints. Clean completely between different mediums. T-Pin valves included. Helps prevent unwanted drips. Click for more info Little Dipper. See how to Buy. 1 Squeeze Pen is included with the Waxmelter Palette. Wax stays warm in Squeeze Pen by resting in heated Waxmelter Palette. 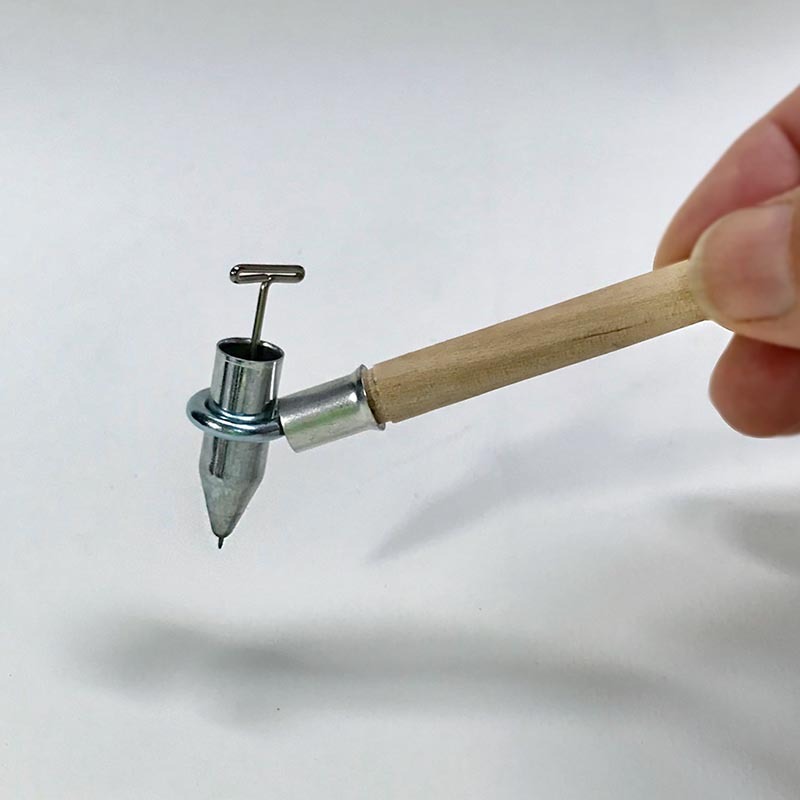 The Squeeze Pens is a suction-type dispenser for painting & drawing with melted wax. May be used with water based paints. Option to buy single, several or package of 10. For ages 6 and over. Click for more info Squeeze Pen. See how to Buy.